The Data Storage Institute (DSI) of Singapore's Agency for Science, Technology and Research (ASTAR) has announced a new ultra-thin high-density hybrid hard drive that bests a recently unveiled Western Digital product. In what is said to be the smallest and most capacious offering of its kind, the 2.5-inch A-Drive measures only 5mm thin and provides up to 1TB of mechanical storage alongside 32GB of flash storage. For reference, most notebook drives are 9.5mm or, less commonly, 7mm thick. In September, Western Digital also announced that it had produced a new 5mm-thick hybrid drive, but the company only touted half the mechanical capacity of DSI's solution. 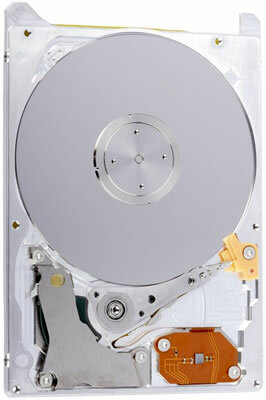 Terabyte capacities are tough to find even among thicker 2.5-inch drives. There are around a dozen 7mm drives on Newegg currently and they max out at only 500GB. The agency said that working with the spindle motor design of current 7mm hard drives is the primary issue of reducing their size without sacrificing performance. To build the A-Drive, DSI has developed a proprietary axial field motor that runs smoother, quieter and more efficiency, lowering power consumption by up to 70%. This patented technology is accompanied by 30 other unique design elements. Given its slim profile, DSI says its drive would be ideal for today's mobile devices, especially tablets, which usually have around 16GB to 64GB of flash memory and rely heavily on cloud-based services for bulk storage. Ultrabooks are obviously another primary candidate for the A-Drive, which can supposedly extend battery life by up to 30% (over standard hard drives we assume). Enterprise customers also stand to benefit from the A-Drive, as its compact size and large capacity results in more efficient use of server rack space. Unfortunately, it'll be a while before you'll be able to buy an A-Drive-equipped device. Speaking with Yahoo, DSI executive director Pantelis Alexopoulos said the outfit is currently in talks with partners to market the A-Drive in Singapore. Once a partnership is established, it'll be another six to eight months before manufacturing begins. Retail pricing is obviously a ways off, but the Yahoo report mentions an aggressive figure of $73 -- less expensive than one of the 7mm 500GB drives from Newegg that we mentioned earlier.